Our range of products include compaction table. Compaction Tables offered are powered by pneumatic/electric vibrators and can be offered in variety of control configurations. 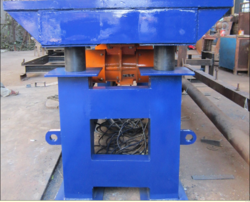 These compaction tables come with quality components and construction support and can also be custom-built as per the specifications of the customers. The equipment meets the application demands of precast concrete, packaging, material compaction, equipment testing applications.